Choosing the right hydraulic oil. 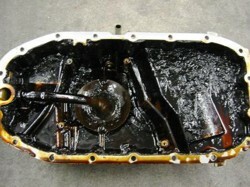 The role of engine oil on engine life. Choosing the right hydraulic oil can save your business a lot of money... but choosing the wrong hydraulic fluid could cost you a fortune. 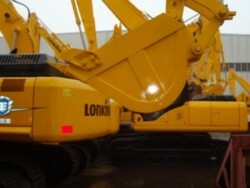 Most industrial machines, construction machines, aircraft, motor vehicles and marine craft use hydraulic systems. The hydraulic system refer to the mechanism of using fluid to generate power or force to perform a function; and the hydraulic oil is the fluid used to provide the power. Before choosing the right hydraulic oil we need to know what’s available. Is there a demand for Eco friendly biodegradable oil? What is the demand for biolubricants and Eco friendly biodegradable oil? The use of Eco friendly bio degradable oil by industry is still in its infancy and there's much left to be done. However, quite recently, a team of experienced researchers from the University of Huelva successfully developed an eco friendly lubricating grease based on Ricin oil and cellulose derivatives. This bio degradable oil does not contain any polluting component used in the manufacture of traditional industrial lubricants, and as such can reduce the effect of oil on the environment. What Role does Engine oil play in engine life expectation and durability.